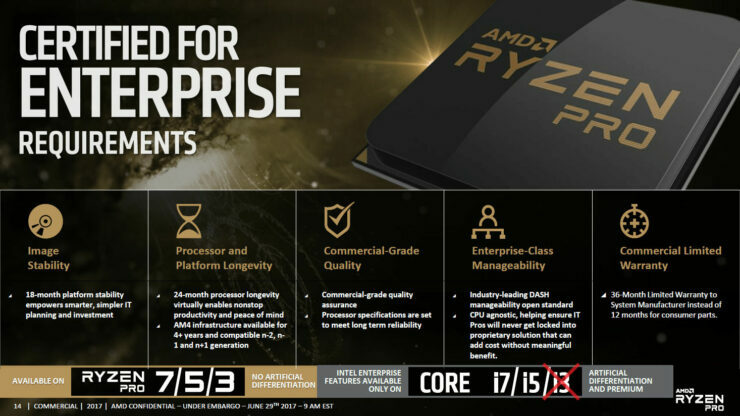 AMD has officially released their enterprise focused Ryzen Pro processors which feature the best workstation optimized performance and add the latest security features for reliable and compute intensive business workloads. 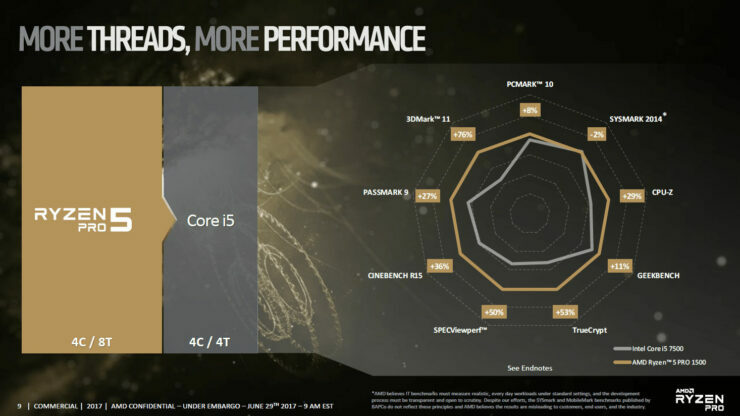 The AMD Ryzen Pro processors were first mentioned back in February ’17 as a part of our exclusive story. 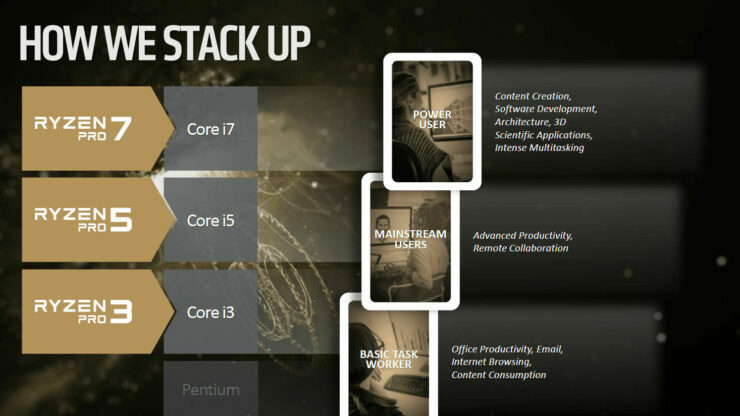 The family consists of 8 processors which feature 8, 6 and 4 cores. Each CPU is segmented into three sections. 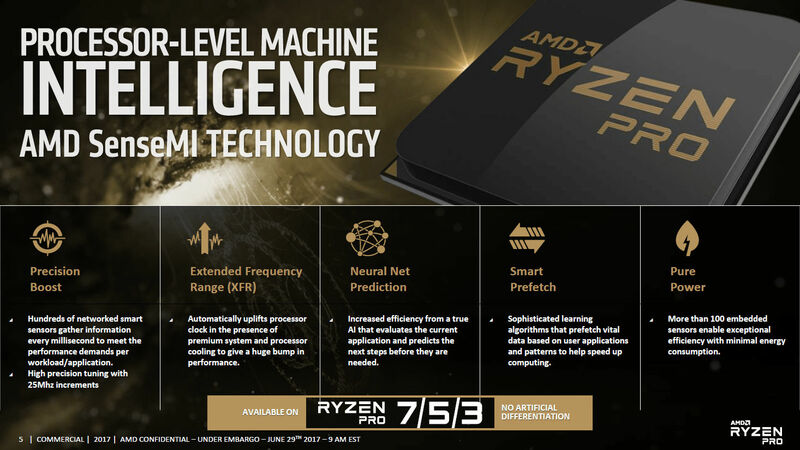 The top Ryzen Pro 7 series is built for “Power Users” and is aimed directly at Intel’s Core i7 lineup, offering faster content creation, software development, architecture, multi-tasking, and Scientific / 3D applications optimized performance. 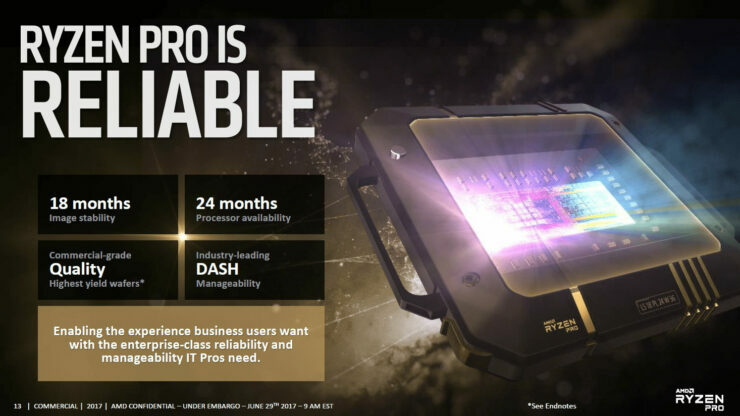 The Ryzen Pro 5 series is targeted at mainstream users and competes against the Core i5 lineup with a focus on advanced productivity and remote collaboration tasks. 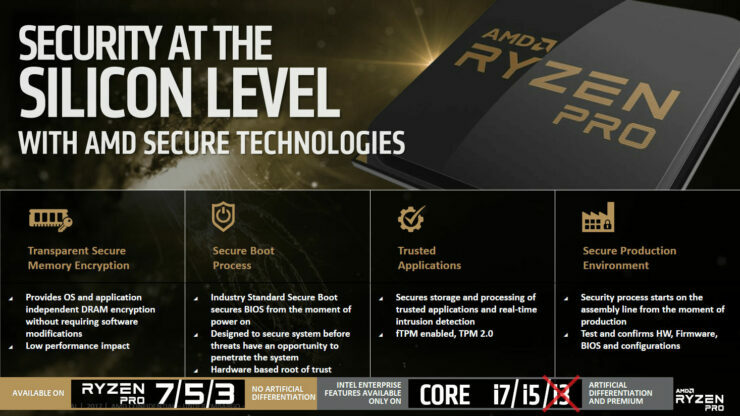 Lastly, we have the Ryzen Pro 3 stack which is aimed at the basic task worker and competes against the Intel Core i3 lineup, offering great office productivity, email, net browsing and content consumption performance. 36-Month Limited Warranty to System Manufacturers instead of 12 months for consumer parts. 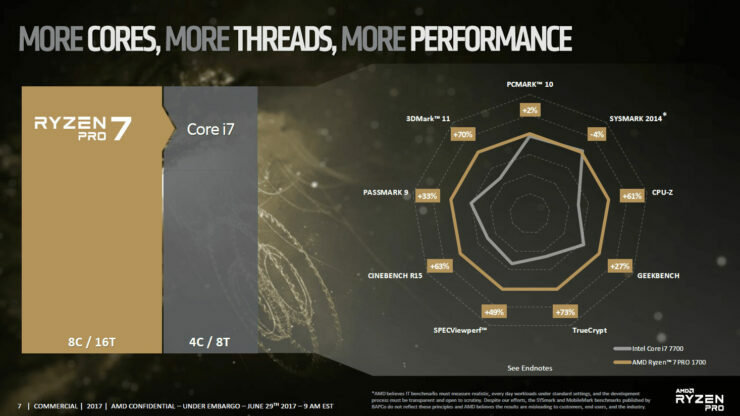 The top of the stack is the Ryzen 7 Pro 1700X which features 8 cores, 16 threads and a clock speed of up to 3.7 GHz. The chip features a 95W TDP and features 20 MB of L3 cache. 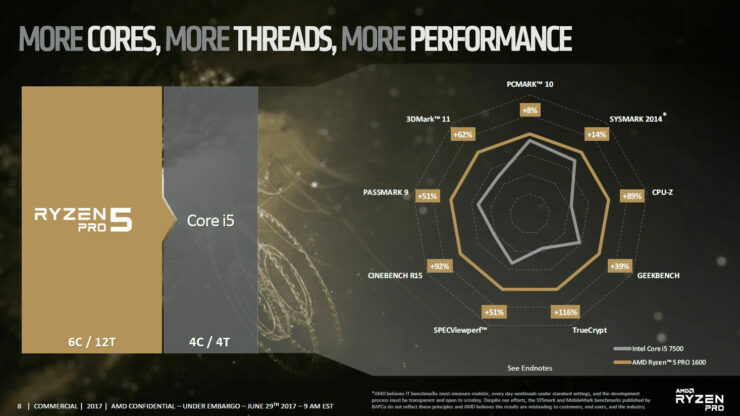 All other chips in the stack feature a TDP of 65W and exist in 6 core / 12 thread, 4 core / 8 thread and 4 core / no HT variants. 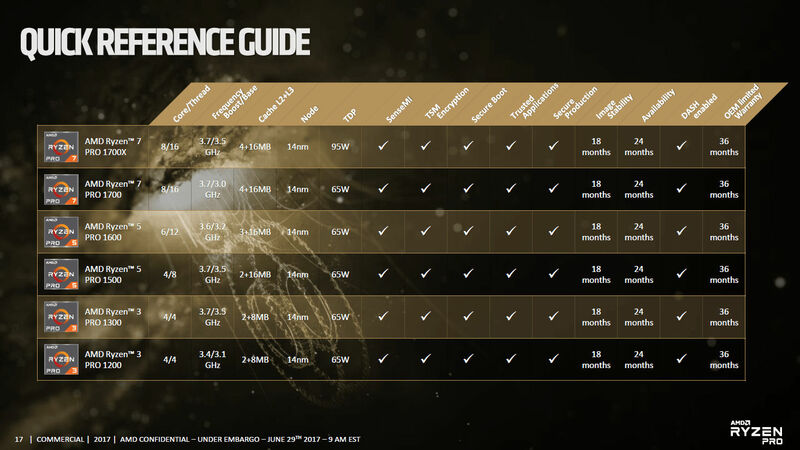 Specifications of these processors can be seen in the table provided below. 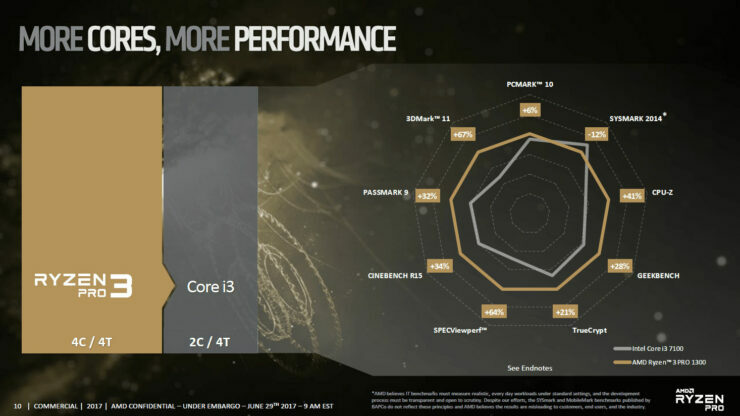 All Ryzen Pro CPUs will be ECC memory compliant but at speeds vastly lower than the regular desk top variants. 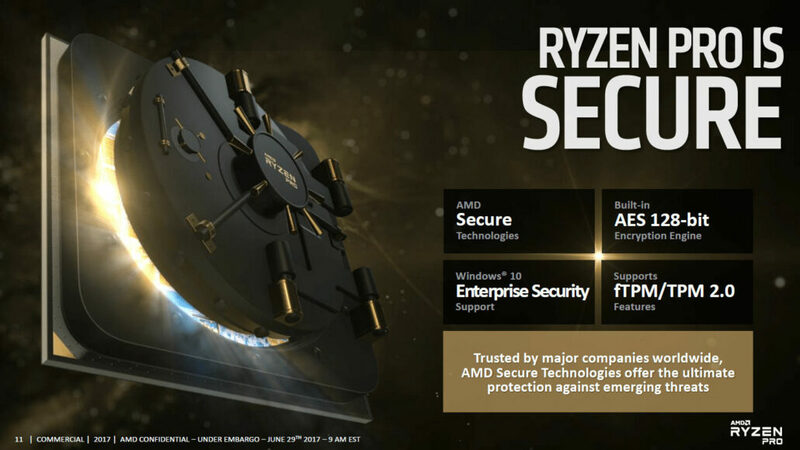 Security features for these processors include AMD’s SenseMi, Precision Boost, Extended Frequency Range, Neural Net Prediction and Pure Power. The chips come with built-in AES 128-bit encryption engine, fTPM/TPM 2.0 support and Windows 10 enterprise security support. 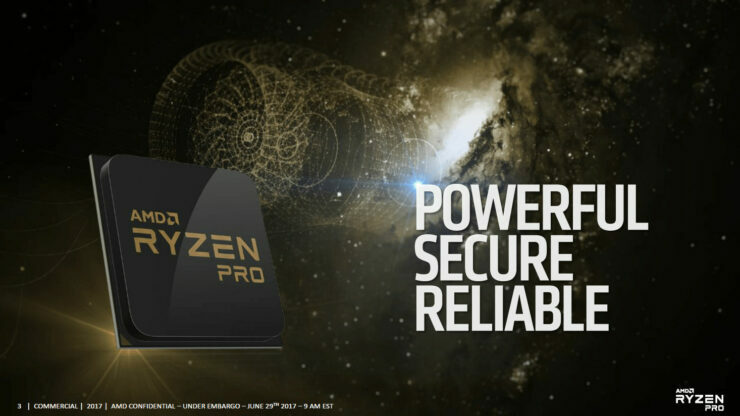 The AMD Ryzen Pro processors will be available in retail on 29th August along with supporting platforms. 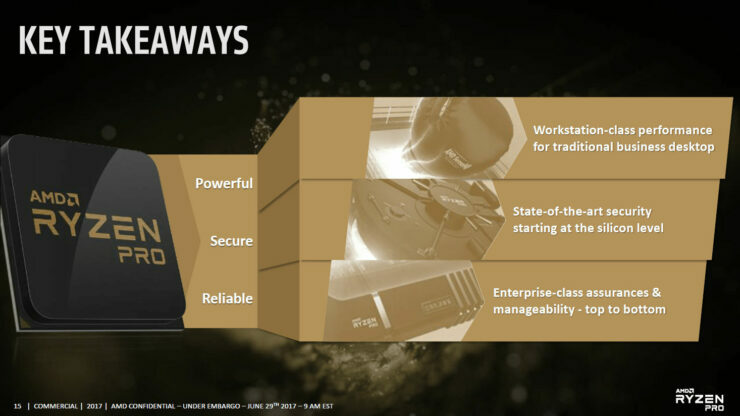 AMD partners that include Dell, Lenovo, HP, etc will be offering desktops with AMD Ryzen Pro processors in the third quarter. All processors will ship with a 3 year warranty and availability will last 2 years for the chips in the retail market.